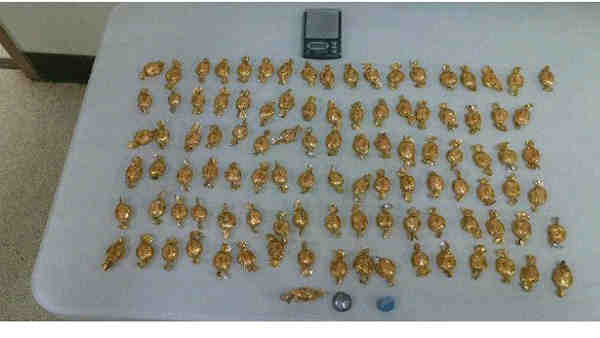 FLUSHING, NY -- A bag of what appeared to be candy turned out to be $85,000 of heroin, police said, leading to two arrests. According to the New York City Police Department, 40-year-old Jesus Perez and 50-year-old Ivan Carvajas were stopped Monday night while the two were sitting in a car on Prince Avenue in Flushing, Queens. The officers approached the men because they were sitting in an idling car, but discovered that Perez had a suspended license. Police searched the car and discovered the drugs. Perez and Carvajas are facing charges, including criminal possession of a controlled substance with intent to sell and possession of drug paraphernalia.